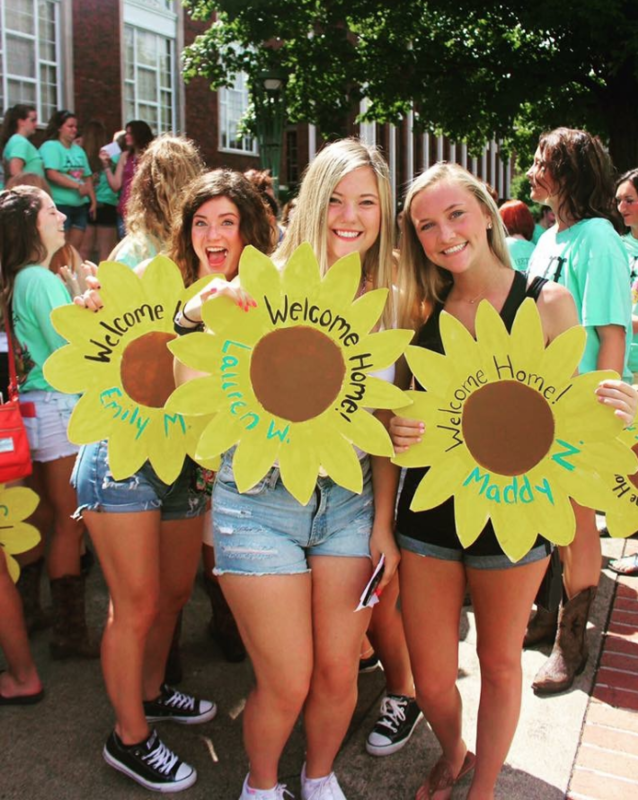 Preparing for sorority recruitment at one of these schools? We can help. “My daughter plans to attend ____. Did you daughter tell you she planned to participate in sorority recruitment? We can help! Hiking in Heels assists ladies with the sorority recruitment process at over 40+ different schools. *Lists reflects formal sorority recruitment opportunities for incoming freshmen. My daughter plans to participate in sorority recruitment, but she hasn’t selected a school yet. Do I need to wait until she’s selected a college to sign up? No – you do not need to have committed to a specific school before enrolling in our program. It’s just like signing up for an SAT prep course – you don’t have to know what colleges you’re applying to yet – you just have to have to know you plan to go, and that you plan to participate in recruitment at a school that has Greek life. Since Hiking in Heels works with ladies from the moment they join the program and provides access to coaching until they receive their bid, we can begin other parts of the program while she’s waiting on her acceptance letters. Once your daughter selects her school, we’ll dive into school-specific recruitment nuances and recommendations. How do we apply for the program? How soon should we apply? 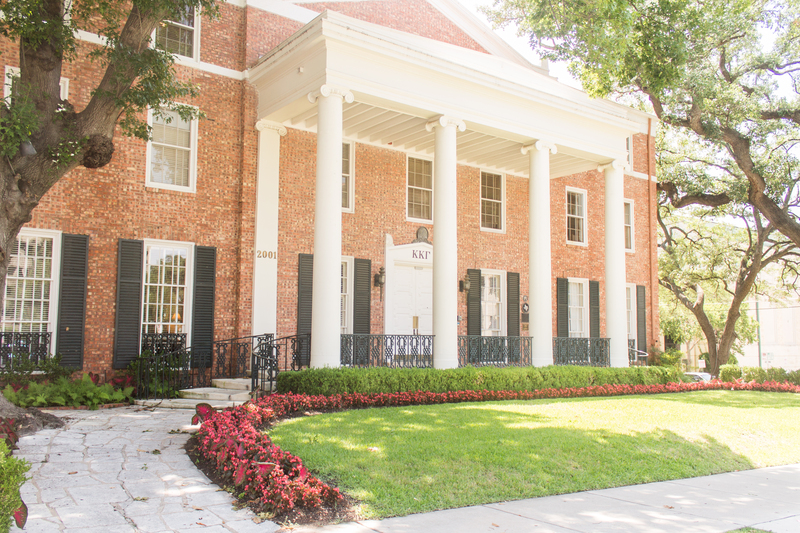 Consider working the first and only sorority rush coaching program in Texas (and the first of its kind in the nation). A lot of the big decisions surrounding recruitment involve paperwork and are made by the chapters months before recruitment officially begins. That’s great news for you – especially since you’re already here. We know exactly what the Director of Recruitment Records is looking for on your (or your daughter’s) resume, how the houses will rank your letters of recommendation on a scale (and how you can get a higher ranking), how best to prepare your rush packets, how the bid list ordering and cut process works, and what you should actually be discussing during each round. Most moms and daughters prefer to begin working with a rush coach a year to several months in advance of formal recruitment. The sooner you get started – the more we can do for you. Working with a rush coach maximizes a rushees odds and gives your daughter an advantage long before she steps foot on campus for recruitment so she (let’s be real – so both of you) can participate in recruitment confidently. It’s just like the SAT – it’s better to go in prepared. Let’s get you (or you and your daughter) recruitment ready. To apply for the Hiking in Heels program, which was nationally recognized in Cosmopolitan Magazine, call us at (512) 827-7586 or click here to anonymously ask any questions you may have. Hiking in Heels lays the foundation for a successful sorority rush experience. It maximizes a young lady's chances of getting a bid, and it helps her find a sorority that's the perfect fit for her. © Hiking in Heels, Sorority Rush Coaching. All rights reserved.